Our walking group at Cranfield University is planning a walk, combined with a shopping trip to an outdoor store in Bedford, on either 22 October or on 12 November (TBC nearer to the time). First, me going into Digimap at my desk, checking various routes and measuring their distances. Then getting a small group together, arranging time and date to meet up one afternoon. 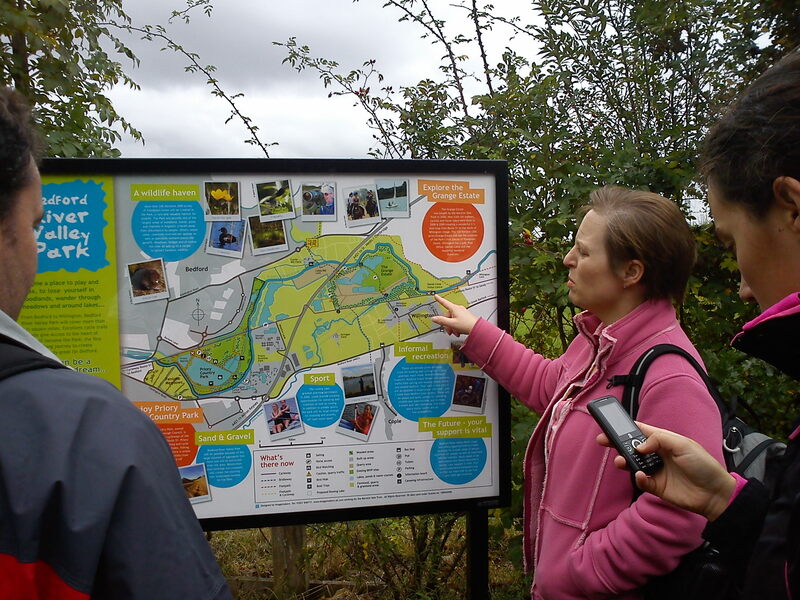 So on Saturday 8 October 4 of us – Deborah, Belén, Graham and myself – drove to the location of an outdoor store on the outskirts of Bedford to trial a possible circular walking route there. Going over our maps again, trying to make a final decision about which walking route to pursue. Towards Bedford, north or east? We ended up opting for the eastern route towards the River Great Ouse, mainly as Deborah was familiar with the area. Turning on the GPS and off we go. 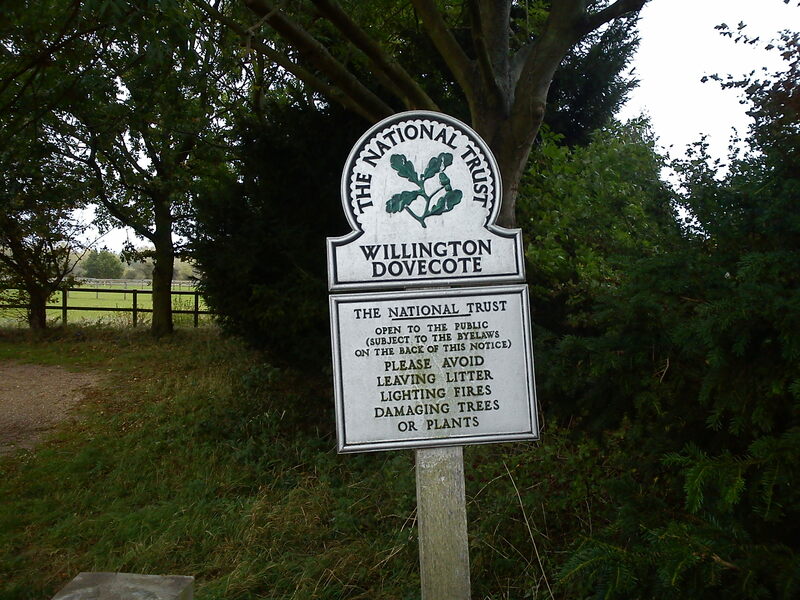 We stopped on the edge of the village of Willington to admire a Tudor stone-built dovecote there and then headed towards the historical area of Danish Camp. There we discovered a nice cafe that offers bicycle hire and river boat trips. We continued all the way to the village of Great Barford and its spectacular medieval bridge before heading back. It took us 4 hours to explore this walking route and we covered about 15 km ( 9.4 miles). We were just back on time to squeeze in a visit to the outdoor store before its closing time. Our verdict about the route: it was a lovely walk by the side of the river, with many interesting features along the way. Terrain mostly good. Now back at the university, there are still things to be sorted – transport and its cost, exact timing of the walk, advertising, then adjusting the final walking route to weather conditions present on the day of the walk. We had a long day on Saturday but it was certainly worthy – we now have a very nice walking route planned for one of our upcoming events. If you like to take part in any future exploration/ preparation walks for the Cranfield University’s walking society, contact Kristina. This entry was posted in Blog, Walks and tagged Cranfield University, Danish Camp, exploring a walking route, Great Barford, preparing a walking route, walk, walking group.